A Natural Acne Cure That Will Cost You Nothing. The Natural Acne Cure Will Stop Your Zits and Heal Your Skin. Been looking for a natural acne cure? Maybe you've popped pills and applied creams with limited or no success. Maybe you want to avoid contaminating your body with toxic cures that don't work. I was in your boat for years, and it frustrated me to no end. Starting in high school my face was constantly breaking out in red dots. I got a prescription for cream and some pills from the dermatologist, but this was not a healthy, natural acne cure. It seemed to work for awhile, but within a year my face was breaking out again. 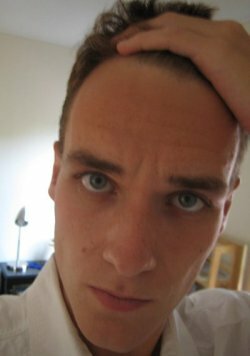 During college I was still being frustrated by my face, which was still covered in acne despite my advancing age. I asked my dermatologist why I was afflicted while others of my age had long since stopped having outbreaks. She had no real answer for me, because dermatologists have little idea why acne occurs in the first place. Ask them, and they'll babble on for a a bit about genetics, bacteria infecting pores, and hormones, but if you press them they'll probably admit that they don't know. The official line is that for most people, acne peaks in the teens and then diminishes or disappears over time after they reach their 20s. There's no way to predict how long it will take to disappear, they'll tell you. They might also divulge that some individuals will continue to suffer well into their thirties, forties and beyond. The Natural Acne Cure and Why No One Knows About It. I was tired of pills and irritating creams and I was tired of the doctors who kept trying to feed them to me. After six years of their incompetence I decided that I had had enough. I began my quest for a natural acne cure. I had had some success on the dietary front early on. By eliminating meat, dairy, eggs and most junk food when I was a Freshman in college, I found that my acne had diminished, and so I began to see the light. I began reading widely on acne, and outside the dermatology text books I found some interesting information: The sad truth is that you're causing your own acne. I'm sorry to say it, but it's true. 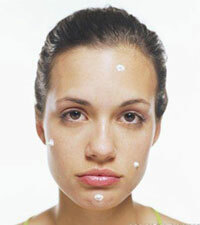 If you suffer from acne, the cause is your diet and lifestyle. It can all be off your face within a month or two my just stopping what causes it. The skin is a giant organ of elimination for the body. When you put toxic food in it like meat, dairy and eggs, and cooked and denatured foods, the body does its best to get rid of it. These toxins are excreted through the skin, and show up as acne, or occasionally as other skin disorders. Salt, which is highly toxic, is excreted through the skin as salty sweat, for instance. "Acute disease is vital action in some one or all of the living tissues or organs in resisting and expelling injurious substances and influences and in repairing damages. In this sense, disease is an effort to preserve the organism from destructive influences and to maintain or restore functional harmony. The living organism is endowed with an inherent power and instinct of self-preservation. A familiar example will illustrate the workings of this power and instinct. A poison is taken into the stomach; the organism senses the presence of a non-usable and harmful substance and prepares to act accordingly. It is sent out by vomiting, or it is sent along the digestive tract into the colon and is expelled by means of a violent diarrhea. It does not take a profound understanding of the science of biology for the reader to grasp the fact that the vomiting or the diarrhea are the means of defense and expulsion. We call them disease or symptoms of disease, but we should also recognize them as parts of the process of healing. Disease is not the enemy of life that we have been taught it is, but the means employed by life to defend and repair itself. So the best acne treatment, like the best cure for heart disease, is no cure at all. All you have to do is stop harming your body and its need for such eliminations will drop dramatically rather quickly. So what's the best way to stop harming your body? A raw food (Fruitarian) diet based around raw fruits and vegetables, with no denatured, cooked or processed foods and no toxic super foods is exactly what your body wants. Start eating and living healthfully and a natural acne cure will be yours. On the left picture of me as a sophomore in college on a cooked food vegan diet. 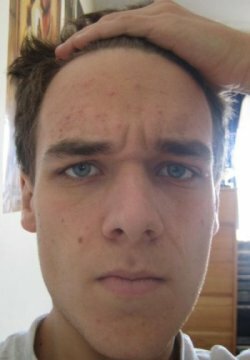 My acne was reduced, but you can still clearly see it on my forehead. Below is one that I took in July of 2008, after some time on a raw vegan diet. You can see that my skin is unblemished and healthy in the second picture. This is how everyone's skin should look. Periodically I may get an individual small pimple as my body detoxes, but the problem is virtually non existent. Want the specifics about how to enact a healthy raw food diet? Read my detailed article on the diet here, how your lifestyle plays into the natural acne cure, and the disease-diet connection here. Put this information into effect and you won't need the best acne treatment, because you just won't have acne anymore. The natural acne cure will cost you nothing, and will rid you of of your problems forever. (1) "Eat to Live," Dr. Joel Fuhrman, pg. 143. (2) "Natural Hygiene, Man's Pristine Way Of Life," Dr. Herbert Shelton, Chapter XVIII.